TOHA presented Dan K. Utley its Thomas L. Charlton Lifetime Achievement Award on Saturday, December 4, 2011, at Texas State University-Round Rock. On behalf of TOHA, L. Patrick Hughes presented Dan a lifetime membership. Patrick also congratulated Dan by presenting an engraved crystal platter citing his achievement. Cynthia Beeman emceed the program honoring her friend, Dan Utley. Friends told tales on Dan's exploits and created a slide show highlighting "Travels with Dan," including his now famous interview with Ronald MacDonald. Everyone wanted to shake Dan's hand after the ceremony, including Frances and John Rickard, while Chuck Blanks looked on. At the luncheon, Dan and his wife, Debby (standing, center back), visited with friends. The Texas Oral History Association is pleased to announce Dan K. Utley as the eighth recipient of the Thomas L. Charlton Lifetime Achievement Award. A native of Lufkin who spent his formative years in Woodville, Dan received his BA in history from the University of Texas at Austin, teacher certification from Lamar University, and the MA in history from Sam Houston State University. As he worked toward his own education, he participated in the education of young people through his teaching in Woodville and Cypress-Fairbanks schools and through his executive position with the Alamo Area Council of Boy Scouts of America in San Antonio. In later years, Dan taught or lectured at Austin Community College and Baylor University. He is currently an adjunct faculty member in the public history program at Texas State University, San Marcos, where he teaches graduate courses in oral history theory and practice. In 1979, Dan began a long-term relationship with the Texas Historical Commission, where he served several roles that placed him at the center of action for historic site preservation in the state. He served as assistant director of research from 1979 to 1983, with the primary responsibility for drafting and editing inscriptions for the informative markers that dot the Texas landscape with reminders of the significance of places, people, and events in the state's past. From 1983 to 1985, Dan was director of research, a position which included oversight for the state historical marker program, but also carried him on visits and public speaking occasions through the entire state. As THC's liaison with state agencies, legislative committees, preservation groups, and county historical commissions, he came to know people from all walks of life across Texas, and they came to know Dan as their partner in making the past live for future generations. Dan enjoyed being out and about the state, so in 1985 he left THC to become a contract historian/cultural resources manager, work he continues to the present. Contracting principally with the University of Texas at Austin, Lower Colorado River Authority, and the Texas Parks and Wildlife Department, he researches and writes state and federal cultural resource management reports for projects in all regions of Texas, always utilizing oral history where he can. He has conducted architectural and historical surveys and prepared nominations for the National Register of Historic Places and Recorded Texas Landmark designation. Along with projects contributing to cemetery preservation and historical archeology, he consults with Texans doing oral history. From 1991 to 1993, Dan was Oral Historian/Editor and Lecturer for the Baylor University Institute for Oral History. During those years and subsequently, he has contributed 102 interviews to Baylor's oral history collection. He initiated the Historic Preservation in Texas project for Baylor by conducting interviews with innovators, practitioners, and advocates of the historic preservation movement in the state, and also spearheaded an extensive series on cotton farming in the Burton area of Washington County. Additionally, while at Baylor, Dan conducted oral history workshops across the state. In 1997, Dan returned to the Texas Historical Commission, this time as Special Projects Coordinator, supervising site-based programs associated with historic courthouses and Texas military history. In 1999, he became administrator of the Texas Historic Courthouse Preservation Program, a multimillion dollar matching grant initiative. In 2001, Dan moved to the History Programs Division, first as assistant director, a job that well utilized his experience. He coordinated the Official Texas Historical Marker Program and supervised programs related to cemetery preservation, a World War II initiative, the oral history program, and the military sites program. In 2004, he became THC's chief historian. Through that position, he participated in a wide range of projects related to heritage tourism, museums, agency archives, historic sites, diversity efforts, research, workshops, and publications. Again he served as liaison to county historical commissions, nonprofit preservation groups, and state agencies. Upon his retirement from THC in 2007, in addition to spending more time with Debby, his childhood sweetheart and wife of 39 years, Dan continued his work as contract historian/cultural resource manager and public historian. He continues to consult on oral history projects and is also an author and editor. In addition to a long list of journal and magazine articles, scholarly papers, speeches, and talks, he is author, co-author, and/or editor of several books: Sentimental Journey: A Guide to the Architectural Heritage of Georgetown, Texas (1989); Sacred Soil: Preserving Texas Military Sites of the Nineteenth Century (1997); From Can See to Can't: Texas Cotton Farmers on the Southern Prairies (with Thad Sitton, 1997; recognized with the Best Book Award by the San Antonio Conservation Society in 1998); Guided with a Steady Hand: The Cultural Landscape of a Rural Texas Park (with James W. Steely, 1998); and History Ahead: Stories beyond the Texas Roadside Markers (with Cynthia J. Beeman, 2010). He is currently working on volume two of History Ahead, researching materials for a book on military sites in Texas, 1845-1945, and awaiting publication of a major book on the state's past historians for which he was a contributor. The list of state boards and committees on which Dan has served is long, but dear to our hearts is his record of service for Texas Oral History Association. TOHA welcomed him as member in 1986 and immediately put him to work. From 1987 to 1992, he did his part as a member of the TOHA board of directors, taking on the offices of vice president (1990-1991) and president (1991-1992). 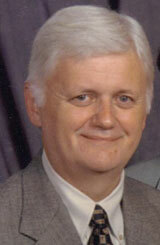 He has also served since 1995 on the editorial board of the TOHA journal, Sound Historian. He has carried oral history best practices throughout the state as leader or co-leader of more than thirty workshops. Dan's prolific work has been honored by the Texas State Historical Association, which named him Fellow in 2008, and by the East Texas Historical Association, with its Best of East Texas Award in 2008 and its Ralph W. Steen Award in 2009. It is fitting that the Texas Oral History Association now recognize Dan K. Utley's outstanding service to the Lone Star State through his career as historic preservationist and oral historian by bestowing on him the Thomas L. Charlton Lifetime Achievement Award.